The Mormon Tabernacle Choir has been called many things: an American icon, a symbol of freedom, a holiday tradition, the greatest choir in the world. Why is the Choir universally recognized and lauded? Of course, it makes great music, but perhaps more central to its success is the ability of the 360 members of the Choir to lift the spirits of people of diverse cultures, ages and religions all over the world. 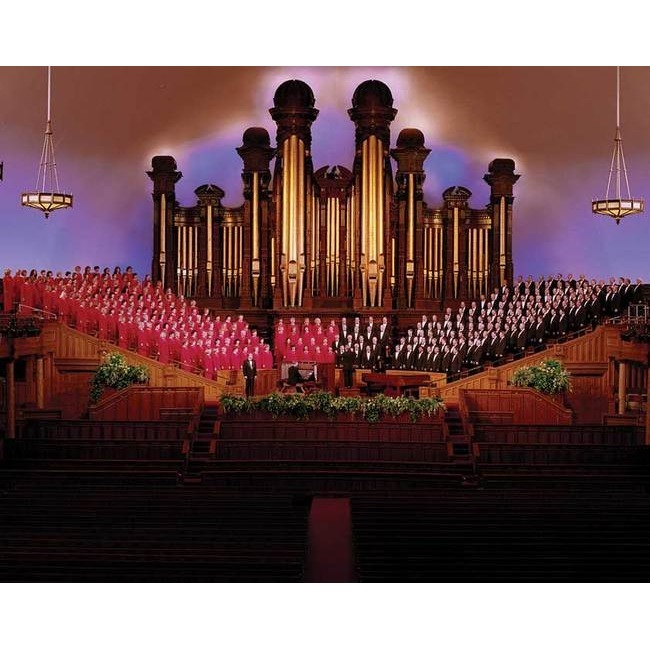 One of the oldest and largest choirs in the world, the Mormon Tabernacle Choir has performed before presidents, sold millions of records, won scores of awards and enthralled audiences in more than 28 different countries. The Choir is composed of 360 volunteer singers ages 25-60-all exceptionally talented musicians. 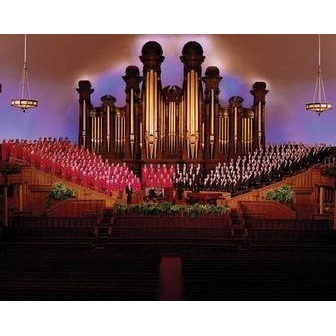 Based in Salt Lake City, Utah at the headquarters of The Church of Jesus Christ of Latter-day Saints, the Choir is composed of faithful members of the Church. They practice and perform weekly and are accompanied frequently by the Orchestra at Temple Square. The Choir has appeared at 13 world's fairs and expositions, performed at the inaugurations of five U.S. presidents, and sung for numerous worldwide telecasts and special events. Five of the Choir's recordings have achieved "gold record" and two have achieved "platinum record" status. The most popular was the 1959 release of "The Battle Hymn of the Republic" recorded with Eugene Ormandy and the Philadelphia Orchestra which won a Grammy award for Choir conductor Richard P. Condie. Anyone who loves vocal perfection will love the MoTab! Strongly recommend you check them out.